Home WHISKY & WHISKEY Irish Whiskey TWE Blog Awards! It’s Oscar time again, and even in the whisky world the awards season is in full swing. Basking in the warm glow of our award for Best Online / Direct Mail Retailer of the Year at the recent Drinks Retailing Awards, we thought we might as well chip in with a few shouts of our own for the best and worst of the year. Let the gongs be awarded and the rotten tomato-slinging commence! Important Note: Please be aware that the views expressed herein are those of the writers and not The Whisky Exchange per se. It’s a shame that we didn’t get around to this last year, as Dave Broom’s World Atlas of Whisky would have won hands down and deserves a special mention anyway- if you haven’t already got it, you don’t know what you’re missing. 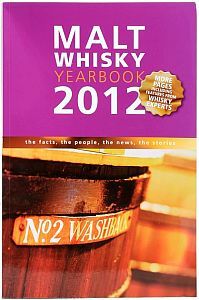 However, our Inaugural TWE Blog Award for Best Whisky Book of 2011 has to go to Ingvar Ronde for the Malt Whisky Yearbook 2012. Amazingly, the 2012 edition of the Yearbook is the seventh of these handbooks to have appeared – and it’s still as essential as ever. As usual, it’s bang up to date with the latest info from all the Scottish distilleries and an ever-growing section on New World distillers, plus some great articles from the likes of Charles Maclean, Gavin D. Smith and Colin Dunn. Part magazine, part almanac, part encyclopedia, The Malt Whisky Yearbook is an essential resource for fact-checkers like ourselves, and it never leaves our desk – but it’s also a damn good read. Take a bow, Ingvar Ronde. 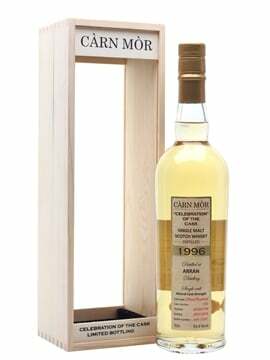 It’s a tie between Caol Ila Moch and Bowmore Tempest III. We’ve talked about both of these whiskies before on the blog, and it’s great to see two of the less-hyped Islay distilleries putting out great whiskies away from the fuss and nonsense sometimes parped out by or about the south coast distilleries. 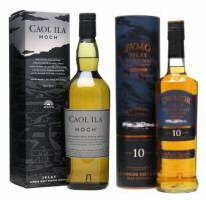 So hats off to Diageo for the extraordinarily drinkable Caol Ila Moch, a very worthy addition to the range from Islay’s most under-rated distillery. And a hearty handshake to Bowmore for Tempest III – a truly superb cask strength Islay whisky at a sensible, non-pisstaking price. Morrison Bowmore also presented us with one of the year’s most overlooked drams that deserves a commendation in this category – the Auchentoshan Valinch. It’s another tie – Glenglassaugh 1966 45yo & Port Ellen 11th Release. There’s so much fuss about the annual PE release these days that they could put any old muck out and it’d still sell out before hitting the shelves. But while one or two of the official PE’s in the last five years or so have been a bit underwhelming, the 2011 will live long in legend as one of the greats. Perfectly-balanced, with a heartbreakingly flawless structure and a voluptuous, unbelievably more-ish taste profile, this was Port Ellen at her very finest. An exquisite dram, even better than last year’s near-perfect 10th release. The Glenglassaugh 1966 45yo, meanwhile, was a very different beast but one of the only new release Scottish whiskies we tried this year that could match the PE for quality. Where the PE seemed remarkably juicy and fresh at over 30 years old, the Glenglassaugh positively flaunted her great age. Sumptuous polished oak and rich fruit from a sherry cask of mind-boggling quality, this was one of the stand-out hits at last year’s TWE Whisky Show. Stuart Nickerson must have danced a jig when they found this one calmly perfecting itself in the warehouse. Magnificent. Power’s John’s Lane & Redbreast 12yo Cask Strength (okay, so we seem to be giving out two awards in every category now – that’s just the kind of generous folk we are). 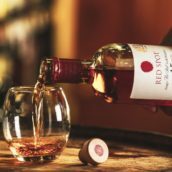 In a landmark year when Irish whiskey took a massive step forward as a category with Grant’s promising significant new investment in Tullamore Dew and Cooley now backed by the mighty Jim Beam, it was Midleton that shone the brightest. Owners Pernod Ricard have been quietly ploughing tens of millions of euros into the distillery over the last few years as part of a huge ongoing investment commitment. The stakes are high, with Irish whiskey surging forward in international markets, but Pernod’s faith is set to pay enormous long-term dividends in decades to come if 2011’s harbingers are anything to go by. This was the year of the renaissance of the style of Irish whiskey formerly known as Pure Pot Still. Rechristened early in the year at a grand unveiling ceremony at the distillery in Cork, the Single Pot Still category exploded into life with a pair of classics – Midleton Barry Crockett Legacy and the stunning Powers John’s Lane 12yo, both showcasing the previously-unseen exquisite heights that (predominantly) bourbon-casked pot still whiskey can attain. 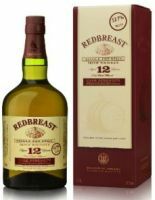 In this context, the low-key launch of Redbreast 12yo Cask Strength at Whisky Live in Paris seemed almost an afterthought. 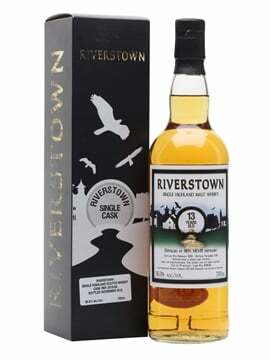 But what an incredible whiskey it is – full-proof sherried pot still heaven. The only gripe possible about this whiskey is that it’s not available in the UK yet, which is a bloody crime. Hopefully that will be corrected soon enough. See above – Midleton Distillery, no contest. 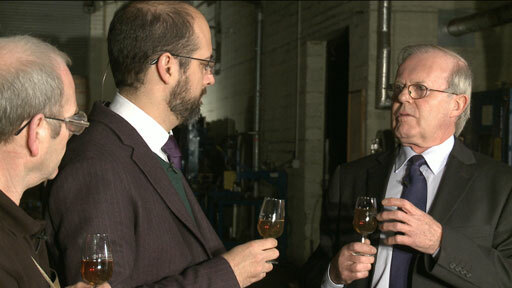 A long programme of Single Pot Still releases are planned, with internet whispers suggesting that the next release is likely to be one of Green Spot’s long-retired siblings. Irish whiskey fans are waiting with bated breath. It may sound excessively hyperbolic, but if these ambitious future releases can live up to the above-mentioned trio of new arrivals on the Pot Still scene, 2011 may be seen in years to come as the beginning of a hugely important shift in the global whisky market. It seems unlikely at present, but if they could manage a top-quality entry-level single pot still whiskey at around the £25 mark there’s no telling what could happen. Former music journalist and Whisky Magazine editor Dominic Roskrow has had a remarkably busy year, taking up the editorship of the previously life-sappingly dreary Spirits Business Magazine [Edit: It’s been pointed out to me that Dom is no longer editing Spirits Business magazine. So it can go back to being very boring again]. Dom is also the editor of Connosr.com’s new online magazine, the World Whisky Review and has recently finished editing a 960-page forthcoming book, ‘1001 Whiskies You Must Try Before You Die’ – not to be confused with his previous tome ‘The World’s Best Whiskies’, nor indeed 2010’s ‘101 Whiskies to Try Before You Die’ by fellow contrarian Ian Buxton, with whom he had an entertainingly frank exchange of views on the subject of Whisky Investment at the end of last year. Dom also writes articles and tasting notes on world whisky for John Hansell’s Whisky Advocate magazine, and until recently he could be found one day a week till-jockeying at the Norwich branch of a chain of pricey high street whisky retailers, for whom he also edits another whisky magazine and has, in the last week, launched a new online whisky magazine & club. 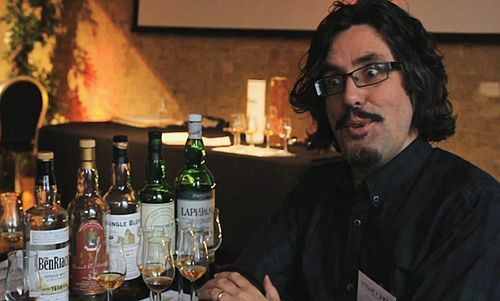 In addition to all this, he also runs whisky tastings throughout the UK and abroad (he’s a founder member of the Whisky Tasting Club), is in charge of the Spirits Business Masters Awards gongfest and contributes numerous freelance articles to a variety of publications. In his spare time, Dom writes a blog, is an enthusiastic tweeter (@WhiskyTasting), endorsed the most recent run of our Elements of Islay releases and occasionally harangues other whisky writers for stealing the food out of his children’s mouths. Hard-working Dom Roskrow, we salute you! Special mention to Bowmore for nicking Rachel Barrie. 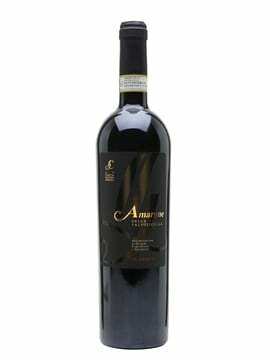 We trust that this move will not herald a return to the bad old days of wine finishes. And kudos, also, to Ardbeg for the clever, witty Alligator campaign and the Embassy idea (although not too sure about the not-very-PC Land Girls). The winner, however, has to be John Glaser and Compass Box for their inspired Last Vatted Malt – a brilliant piece of warm-hearted optimism, releasing one of the whiskies of the year to stick two fingers up at a depressing legislative uck-fup. The whole evening, from the delicious cocktails in a subterranean Soho bar through the slighty chaotic march to Westminster Bridge and finally the raucous cheering as the cork went in on the final bottles of the last Vatted whiskies to be legally bottled in the UK, was a delight. Kudos to John, Lili, Chris, Gregg & the rest of the Compass Box team for a great whisky and a truly memorable event. 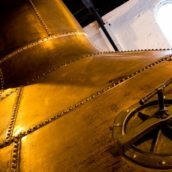 reason, plus some very misleading claims involving Auchentoshan and triple distillation. Not a hard decision, this – a big Well Done to Grant’s. 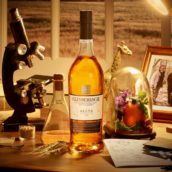 Balvenie and Monkey Shoulder have come up with the most interesting ideas and events for web-savvy whisky drinkers (we won’t dwell on Glenfiddich‘s dull, cheesy ‘One Day You Will’ campaign here). Even though most ideas have been better in the planning than the execution, at least they’re ambitious and trying to do something different – and in the brilliantly madcap Olivier Ward they have someone with a genuinely original approach. 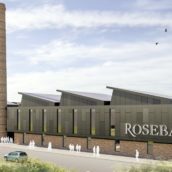 They also have the best online site thanks to the excellent Whisky Academy videos by Sam Simmons in Balvenie’s Warehouse 24 – and have picked up the committee-only bottlings baton that Ardbeg seem to have dropped, with the just-launched Craftsman’s Reserve (at a very reasonable price). Lets face it though, the competition was pretty poor. Diageo don’t really bother much with online interaction, while Whyte & Mackay try too hard and their stuff has ‘Overpaid Social Meeja Agency’ tattooed all over its forehead. Pernod, meanwhile, have upped their game (particularly with the excellent Single Pot Still website) in an understated way and are definitely ones to watch. Has to be Pernod Ricard / Chivas Brothers for their truly impressive press trips with the best accessibility & access for bloggers. They seem to have grasped that rather than spending a load of cash on facile, flyaway social media stunts, simply building good relationships with bloggers face-to-face at distilleries is the simplest, most effective way of generating *genuine* positive coverage online. Pernod don’t swamp bloggers with samples or identikit press releases. Instead, they just get to know them and show them a good time. This approach might be more old-fashioned, but it’s also more personal and genuine. As clued-up online whisky fans get bored of the scattergun ‘churn’ news sites regurgitating PR releases – and begin to distrust the rave reviews that show up on a regular basis on superficial blogs that simply reword official tasting notes – giving bloggers access to real whisky people like Glenlivet’s Alan Winchester or Barry Crockett and Dave Quinn at Midleton looks like a wise strategy for the long-term. Having committed, time-served ambassadors of the calibre of Ann Miller & Ian Logan as the face of their brands does them no harm either. 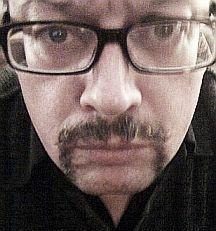 A virtual smack in the kisser to whoever invented the arse-clenchingly cringeworthy Twitter term ’twasting’. Just no. It’s rather immodest of us to nominate something we were so closely involved in for this award (although the inaugural TWE Whisky Show at Vinopolis definitely was the best whisky event we attended in 2011). However, the award actually goes to an event within the event: Dave Broom‘s incredible Exotic Fruit Masterclass. Over the course of an all-too-brief hour and a half, the lucky attendees were treated to an unashamedly esoteric and in-depth exploration of the minutiae and mysteries of this rarest of whisky profiles – all served up with Dave’s customary mix of erudition and good humour. Yes, it was geeky – but we make no apologies for that because it never got too overblown or serious. 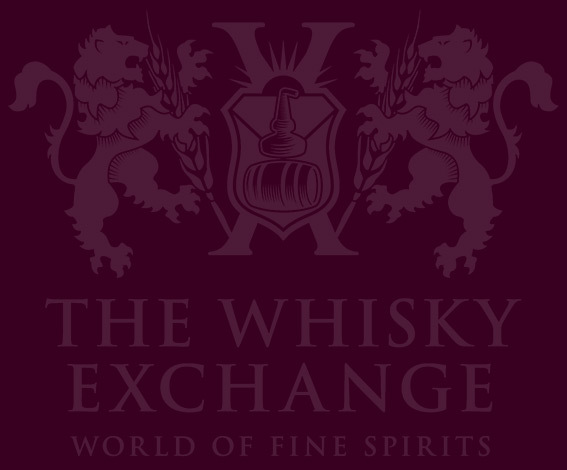 In short, it was FUN – and that’s what TWE Whisky Show is all about. And oh my, the Whiskies! 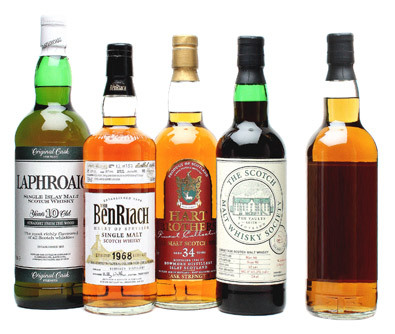 From the opening salvos of the extraordinary Benriach 1968 through to the endless finish of the stunning Laphroaig 10yo Cask Strength first edition, the audience were subjected to a barrage of Exotic Fruit heaven. My notes include clementines, apricot, over-ripe oranges, apple juice, pink grapefruit, canteloupe melon, kiwi fruit, mango, papaya, banana, passionfruit, peach, pineapple and rhubarb (okay, so that’s not exotic or a fruit, but you get the idea) – and that’s just the first three drams! Serge’s anti-maltoporn brigade have their howitzers trained on me, so I won’t go on. Dave’s class deserves both this award and its elevation to the pantheon of classic Whisky Show Masterclasses because it encapsulated the whole spirit of the Show: Education, Great Whisky and Fun. Bravo! Right, that’s it for the Inaugural TWE Blog Awards – hope you liked ’em. Congrats for your award of Best Online / Direct Mail Retailer of the Year. Nice write up, good variety of awards and fair lampooning boys! Thanks for the kind words about me, way too nice and clearly my turn to get the next few rounds to say thanks. Fair call on the mixed execution too, we’re working hard to get it to match the level of ambition. Hopefully that will become more apparent as the year goes on. This reminds me, didn’t that exotic fruit masterclass have a SPECIAL SURPRISE BOTTLING that wasn’t listed on the website? what was it? It was our Lochside 1964 Single Blend.